build credibility and awareness of your brand. Traditionally press releases were sent or faxed to key media contacts and fingers crossed, they would be picked up by a journalist and published through traditional media channels. The web has changed all that by providing businesses with the opportunity to widen their news release audience – enabling their releases to directly reach customers, prospective customers, news sites, bloggers and search engines as well as journalists. community involvement such as working alongside the community or a charity. Opening paragraph. This should be a short, lead paragraph that captures your reader’s attention and tells the reader succinctly what your news is – remember the who, what, when, where, why rules. Centre paragraphs. This is where you tell your news release story. Use statistics and resources here to support your release. Final Paragraph – This is a summary paragraph where you restate the key points of your overall press release. You can also provide an opportunity for the reader to obtain more information. Don’t use the words ‘I’, ‘we’ and ‘you’ unless it’s within a quotation – remember you are not writing sales or marketing copy. You can distribute your own press releases by building up a database of relevant industry contacts. Alternatively you could use a press release distribution company, such as PRWEB, Businesswire or Online PR Media. They will distribute your news release to their large networks of news sites and search engines on your behalf. You should also make sure you have a news or press release area on your website. This is where you put your releases, ideally in date order with latest news at the top. Then proactively promote your news release to your customers. For example put a link to the latest news on your news page in your email newsletter and on your social media sites. Essentially a successful press release comes down to quality content. It is only through providing newsworthy, relevant and engaging content that your release will get found, read, posted on Facebook, retweeted and blogged about. The basic principles of good website design are universal, regardless of whether your website is a small brochure-only site or an all singing, all dancing interactive experience. Understanding and implementing the following suggestions will help result in a positive online experience for your customers’ which in turn leads to the increased likelihood of sales and repeat visits for you. Whether you are building the website yourself, outsourcing development to a web designer or reviewing your current online presence, an understanding of what makes for a good website is essential. By combining a number of key elements you are more likely to create a successful commercial website. Before you begin have a good think about what it is you want from your website – what purpose does it need to serve? 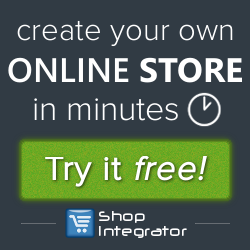 Are you looking to sell your products online and therefore need it to be e-commerce enabled? Do you need a site that serves as an online showcase or catalogue for all your products? Or is it primarily an additional channel to enable customers to contact you? 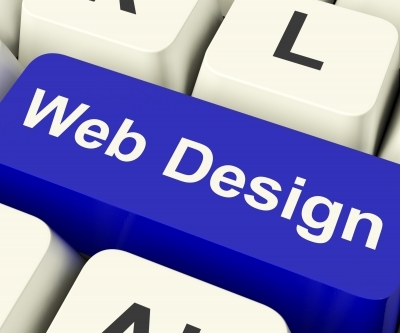 It is important to have a clear idea about your website’s objectives prior to embarking on any design and development. Navigation is essentially how simple it is for the end user – your customer – to move around your website. Can your customer get to the information they are looking for within a few clicks? The more complicated it gets the higher the likelihood that your customer gets lost, gives up and abandons your website. A good rule of thumb is to try to keep the number of clicks it takes to reach any piece of information to a minimum and to make sure your menu arrangements, page layouts and signposts are clear and logical. Usability is a test of how straightforward it is for a user to complete an action on your website such as purchase a product, fill in a registration form or book an appointment. Your customer should be able to complete these tasks efficiently and effectively. Get people to test your site – not just you or your web designers – but people who are representative of a typical user of your site. Ask them to perform specific task whilst you observe how easy it is for them to complete the process. You can then identify where, if necessary, changes need to be made. Does your website make a customer feel secure enough to feel confident about completing a transaction on your site? Or does it make them leave to find a site that feels more trustworthy? In addition to making sure your security credentials are clear to see, there are lots of other things you can do to build-up credibility and trust online. For example make sure customers can get in contact with you easily and that your organisational details (registered address, VAT no. etc) are available. Content should be accurate, up-to-date and error free (no matter how small, errors make your site look unprofessional). Include testimonials or client lists and deal with queries any quickly and efficiently. Essentially make sure your site, no matter how small, looks and feels professional. Accessibility is a central requirement for your website. Legislation states that your website needs to be accessible to everyone. Your customers should be able to interact with your website regardless any disabilities they may have. A full checklist of guidelines for website design and HTML coding is available from the World Wide Web Consortium, following is a link that gives you a useful overview of the guidelines. http://www.w3.org/WAI/WCAG20/glance/ Another aspect of accessibility you need to consider is that your website can be viewed equally well from any device, whether it is a laptop, desktop, iPad, or a handheld mobile device. 61% of global internet users use the internet to research products online (Interconnected World: Shopping and Personal Finance, 2012). Don’t underestimate the importance of quality content and clear, concise copy on your website. Your customer has come to your website to look for specific information and so you need to ensure that the content on your website is accurate, informative and reflects your customer’s information needs. How your content is presented is equally important; visually it must be clear and easy to find. And, don’t forget to continuously keep your content fresh and up-to-date. People read information differently online, they tend to scan information and jump around the page. Users are unlikely to read through reams of text. It is therefore essential you keep your copy concise and to the point using key words and phrases that customers are likely to pick up on. Your page layouts should be clean and clear, so it is easy for your customers to scan the page and find the information they are looking for – quickly. The key things to think about are how the overall structure of your site works, individual page design (paying particular attention to your landing pages) and how you present your content to your users. Make sure your website is visually attractive and remember, if an image is appropriate then ‘ a picture paints a thousands words’. The effective use of relevant visuals can engage a user and reinforce a message. Finally, remember to always keep your end customer in mind and try to think about the points we have listed above as a useful checklist that will help create and maintain your online presence.